次日绿日乐队又发布正式声明：“昨晚在西班牙疯狂酷节上发生了可怕的事故。一位名叫佩德罗的杂技演员在绿日乐队演出之前的表演中丧生。我们为佩德罗和他的家人感到难过，并在这悲痛时刻为他们祈祷。我无法想象他的朋友和家人会遭受多么大的痛苦。你们中的许多人都想知道为什么我们在事故后继续表演。事实上，绿日直到演出结束后才知道发生了意外，我们甚至不知道有杂技表演。音乐节规模太大了，同时发生的事情也太多，我们不可能清楚每一位表演者或者艺术家的情况。我们所处的舞台距离音乐节的主舞台大约有半英里，当时我们正在热身为演出做准备，接到当局通知说因为安全问题要暂时缓登台。演出中这样的情形很常见，对方也没有告知我们具体事件。我们只能原地待命，直到获得通知可以开始才跳上卡车，抵达主舞台。这是我们欧洲巡回演唱会的最后一场演出，我们很兴奋，全情投入其中，我们在午夜时分登台，演出了大约两个半小时，一切看起来都很正常，台下的观众和歌迷也很热情。我们是离开舞台回到艺人区才听说了佩德罗的事，都不敢相信。我不知道为什么当局没在演出之前告诉我们，这是我们30年现场演出历程中前所未有的事，如果提前知道的话，我们很可能根本不会再登台。我们不是没心没肺的冷血人，与人的安全与福祉相比，演唱会永远是第二位的。发生在佩德罗身上的事简直不可想像。我们再次为他的朋友和家人心碎，也为那些目睹这场悲剧的人们震惊和难过。 The famous Spanish punk band Green Day Concert occurred gripping scene, 42 year old Pedro Onio Mon Luo acrobats falling from a height of 100 feet, was killed. Grid The famous Spanish punk band Green Day Concert occurred gripping scene, 42 year old acrobat Pedro Onio Mon (Pedro Aunion Monroy) Luo fall from 100 feet, was killed. The evening of July 7th, green band in Madrid crazy cool Festival, revel in music audience witnessed Pedro suddenly fell from the sky and fell to the floor after the tragic scene, horror. Pedro is a professional acrobat at Brandon’s performing arts company, often performing stunts with difficulty and risk for all kinds of activities. That night, he had no safety cords and any cords, and performed a variety of somersaults and stunts in a glass box 100 feet high. Scene video can not see exactly what happened, only to see him like a lightning crash landing. The audience screamed with terror, then there was a hubbub. 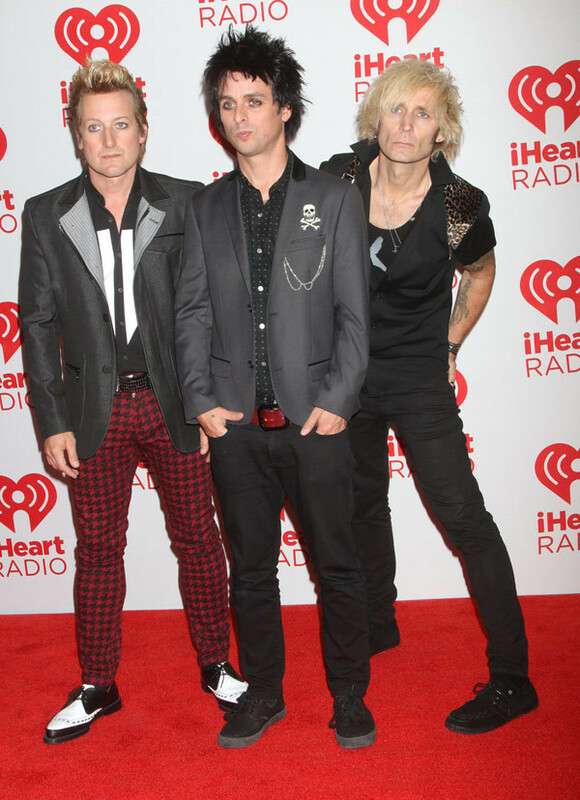 Green day and several members of the Billy Jo Armstrong (Billie Joe Armstrong), Mike Dirnt (Mike Dirnt) and Torey Kul (Tre Cool) because there is still a considerable distance from the Pedro show, a start is not clear the accident is still performed in the input. The crowd was wild in the video, but the music did not stop. The band later said on social media: "listen to the accident and we leave the crazy cool Festival.". A brave artist named Pedro lost his life in the tragic accident tonight, and we expressed our thoughts and prayers to his family and friends." The next day the band Green Day and issued a formal statement: "there’s been a terrible accident in Spain crazy cool Festival last night. A man named Pedro died before the acrobat show band Green day. We feel sorry for Pedro and his family and pray for them in this sad time. I can’t imagine how much pain his friends and family would suffer. Many of you want to know why we continued performing after the accident. In fact, did not know there was an unexpected end of green day until after the show, we don’t even know acrobatics. The festival is too big and there are so many things at the same time that it is impossible for us to know every performer or artist. Our stage was about half a mile from the main stage of the festival, when we were warming up for the show and informed the authorities that the safety problem had to be put on stage for the time being. Such situations are very common in the performance, and the other party does not inform us of the specific events. We can only stand on standby until the notice can begin before jumping onto the truck and arriving at the main stage. This is our last European tour show, we are very excited, whole-heartedly, we went on at midnight, at about 2.5 hours, everything seemed normal, the audience and fans are very warm. We left the stage and went back to the artists’ section to hear about Pedro, and couldn’t believe it. I don’t know why the authorities didn’t tell us before the show. It’s unprecedented in our 30 years of live performance, and if we knew in advance, we would probably never go on stage at all. We are not heartless cold-blooded people, and people’s safety and well-being, the concert is always second bits. What happened to Pedro was beyond imagination. Once again, we were heartbroken about his friends and family, and shocked and saddened by the people who saw the tragedy.